Sometimes my creative genius surprises me. I'm all set to work on a screenplay for the ultimate SF horror movie. Plot: An international athletic competition is being held in a major South American city. (For legal reasons this competition isn't the 2016 Summer Olympics and the city isn't Rio, Brazil.) The city abuts a large body of water that some call Blood Bay. This bay has been used for countless years as a sewer, the locals dumping in all sort of environmental nasties – garbage, chemicals, sewage, etc. 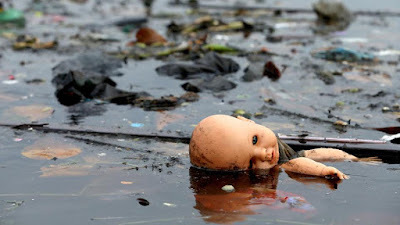 The South American host city assures the international athletic committee that the bay will be cleaned up before the games begin, especially those occurring in the water. So what if some human body parts wash up on the beach area set aside for the volleyball games. Just a fluke. Anyway the bay will be in good shape. Trust us. But when the games start the pollution reduction is only partially completed. The international athletic organization doesn't mind, the games must go on, too much money will be lost. Anyway the aquatic athletes are tough, especially the swimmers. The host city thinks that everything should be OK, nothing to worry, even if the whole world is watching. The swimmers, blinded by the glory of gold and silver prizes, decide to compete. So during one competition a group of swimmers encounter green glowing glop floating on the surface. (I forgot to mention that radioactive waste also gets dumped, a fictional detail needed for the SF angle.) The swimmers enter the mutagen spot and are paralyzed, sinking to the bottom. A search is launched but the bay is so polluted the bodies can't be found. OK, this won't fly. Why? Suspension of disbelief. Too unbelievable. No one will believe that an international athletic organization would allow swimmers to be exposed to such pollution. And the swimmers would never enter the water knowing they risks they would be taking. And what major city would allow the world to focus on its polluted bay, especially with a multitude of critical articles in the media about its insalubrious state. All of that – no one will buy it. Try some Bylcreem. A Little Dab'll Do Ya! There, that's a lot better. 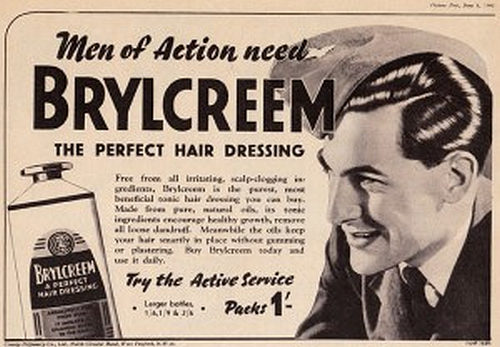 Brylcreem: #1 choice for men of action. There's a plethora of videos over at YouTube purportedly exposing the reptilian shape-shifter conspiracy. They live among us. Cruel treacherous alien humanoids who appear to be one of us until their disguise slips, their true reptilian form briefly revealed. Of course a few of these must be put-ons, hoaxes. But after researching conspiracy theorists of the wacko kind one is amazed what others actually believe despite the illogic and blind faith. For eXample a video entitled “Reptilian Hybrid Gets Mad On Dating Show & Shapeshifts - ALIEN SHAPESHIFTING” (see image above.) The woman has an unusual quirk: she can close each of her eyelids independently like a lizard. Weird but probably a rare genetic trait, not proof of monsters hiding among us. In another video a CNN reporter in slow motion shrugs her shoulders, briefly expands her neck, and sticks her tongue out. More frog-like (amphibian) than reptile to this viewer. And racism plays a factor with a Euronews video about anti-nukes activists in Japan. A scene is frozen to have a red mark point to a protester’s eye. It’s called an epicanthic fold, moron. This same video – entitled “Reptilian disguised as a Human Right [sic] Woman on Euronews” – trots out the usual Illuminati conspiracy tripe, Free Mason symbols and the eye within the pyramid on the dollar bill. All part of the mega-conspiracy. But what appears to be a ultra-right-wing Xtian diatribe – warning about God’s Wrath-Satan-Evil etc. ends up in the end quoting the Quran. Someone out there spoofing? Here I am getting my zine published on his site and I know very little about the guy. I've never been deep into SF fandom but through his site, eFanzines.com, I'm meeting new people outside of my usual readership of ufologists, conspiracy theorists, and supernatural investigators. The impetus for eFanzines dates back to November 2000, the early days of the internet. The time when dinosaurs and dial-up roamed across the earth. Downloads would lumber, taking seemingly forever to complete. Email size restrictions forced a sender to divide a large file into separate emails. Most fanzine publishers didn't have their own personal web space. Cloud storage like Dropbox? Didn't exist. One of Bill's fellow fans, Marty Cantor, was stuck with the inefficiency of email in those days. All Marty wanted to do was send the PDF version of his paperzine, No Award, to other SF fans online. 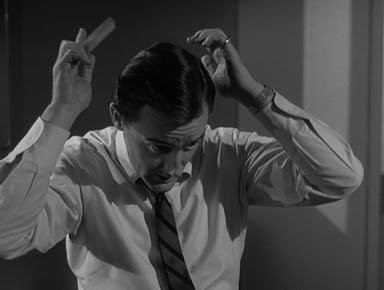 Marty bemoaned to Bill about the inefficiency. As Bill explains: "As I already had a webserver and the time and ability to run the project, it made sense to start a central site to host fanzines for editors who didn't have their own on-line space." After Marty signed up others soon followed. Initially growth was slow but the word got around and today eFanzines hosts 300 titles with almost 5,000 issues. Bill: "Initially I saw the site as just a service which would relieve fanzine producers of having to worry about the mechanics of hosting PDF editions of their primarily paper fanzines. But almost immediately I was asked to host electronic-only fanzines, and I realized that eFanzines could also be a venue for editors who didn't want to deal with the ever-increasing costs of producing and mailing paper fanzines." With his lifelong interest in science fiction it was natural for Bill to become a publisher/webmaster helping other fans. 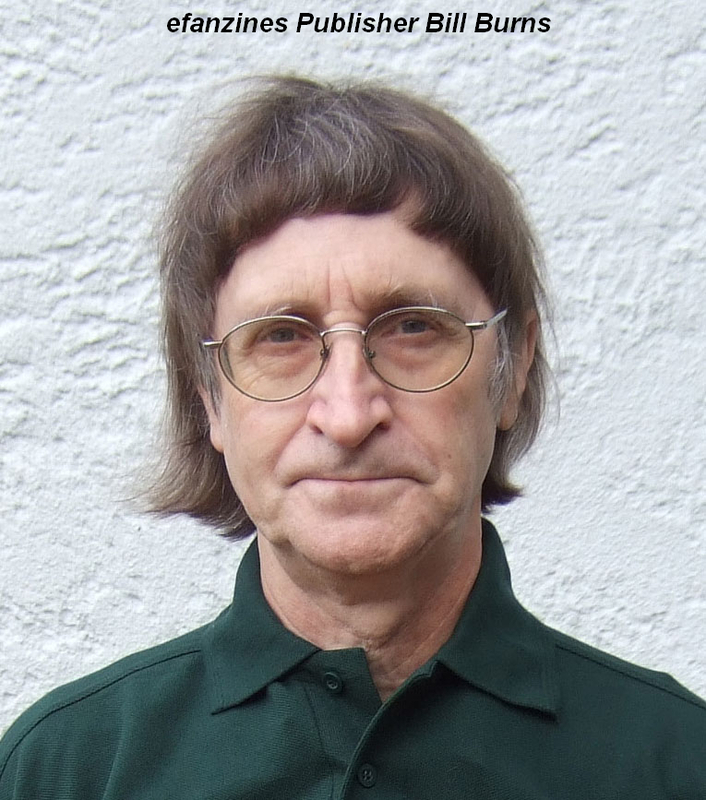 Bill recalls: "I grew up in England in the 1950s, and like most proto-fans at the time (and quite possibly still today) I was an early and voracious reader, with the SF books in the children's section of the local library being my favourites." Bill continues: "Soon after, in the summer of 1964, the stallholder at Salford market put me in touch with 'a couple of lads who do their own magazine', which was the Salford-based fanzine ALIEN. I joined the local group, was persuaded to go to the Eastercon in Birmingham in 1965, and have been attending cons and involved in fandom ever since." 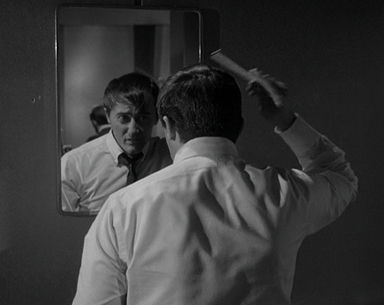 Bill left England in 1971; he now resides in the New York City area. And how did he end up here? Fandom, of course. In 1970 he was working for the BBC. In the summer of that year American fans on their way to the Worldcon in Heidelberg had a London stop. Since the 1950s London fans hold a monthly pub meeting and sometimes an additional meeting is scheduled for special events. Bill explains: "With a hundred or more Americans in town the pub was crowded, but I made the acquaintance of two New York fans of about the same age as me, saw them again in Heidelberg -- and ended up marrying one of them a year later." Bill and his wife Mary still attend SF cons in various countries, their first meeting an example of fandom as a global village. And it all began many years ago and miles away with the SF books in the children's section drawing the interest of a young library patron. Originally published in Ray X X-Rayer #120.